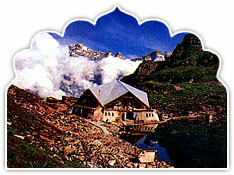 Near the Valley of flowers is the holy lake Hemkund- an important pilgrimage of the Sikhs and Hindus. Along its shores is the sacred Sikh shrine where Guru Gobind singh, the tenth Guru unified with god after Prolonged meditation in his previous birth. Nearby is the Lakshman Temple where Lakshman - the brother of Lord Rama performed his penance. The reflection of surrounding snow- clad peaks in its placid waters offers a scenic sight. Arrival Delhi Railway Station/Airport - drive to Hardwar transfer to your Hotel. Visit Har-ki-Pauri for Ganga Aarti in evening. Back to your hotel, Dinner & Night halt. Morning, drive straight to Joshimath enroute visit Deoprayag, Rudraprayag & Karnprayag. On Arr. Joshimath, Check in Hotel. Overnight stay. Gangaria to Sri Hemkund Sahibji & back. Early morning, Drive to Rishikesh. Visit Rishikesh Local Sight Seeing & Temples. Later drive to Hardwar. Check in Hotel. Overnight stay. 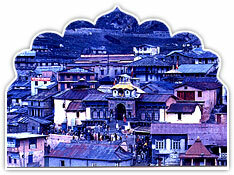 Morning, visit Hardwar Local Sight Seeing & Temples. Later drive back to Delhi. On Arr. Delhi, transfer to Railway Station / Airport. (3) Vegetarian food as described in itinerary. (4) Laundry, mineral water, drinks, ice-creams and expenses of personal nature not included.